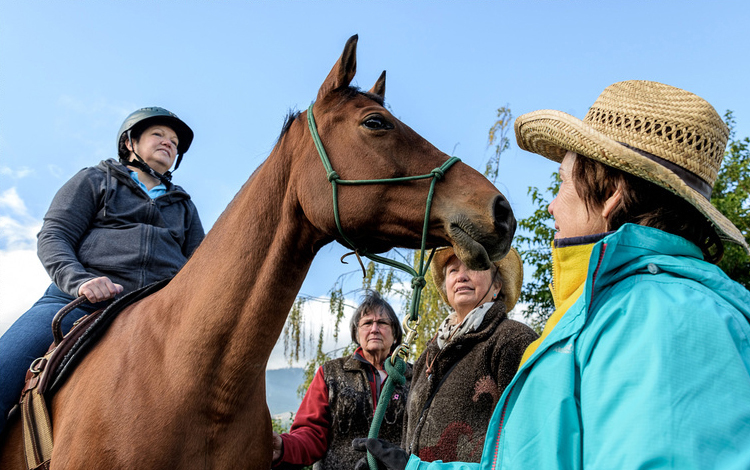 Riding Beyond provides an opportunity for women experiencing the rigors of breast cancer treatment, to revitalize the whole person emotionally, physically, and spiritually, through carefully designed, guided interactions with horses. Exercises in four free sessions improve blood circulation and oxygenation, respiration and blood pressure, as well as balance, strength, and endurance. Activities include poetry, story telling, music and powerful exercises to refresh body, mind and spirit, literally opening new neural pathways, based on cutting edge brain research. Listening to You, Understanding Your Business, Producing Intelligent, Creative Graphic Solutions. Custom Wordpress websites that bring to life the deeper vision for your business. Expert coding of your site for search engine optimization, hosting, and tutorials. Engaging processes elucidate your vision for the future and bring it into form to inspire both you and your clients for years to come. 35 years of experience offering fliers, posters, brochures, advertising, annual reports, books, and other print media. Available at your local bookseller or Amazon. Click here for press release, media bio, photos, and sample interview questions. 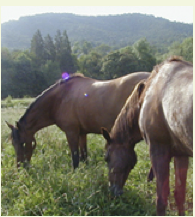 Violet Emerald, the original Green Horse, grazing with her son Beau. 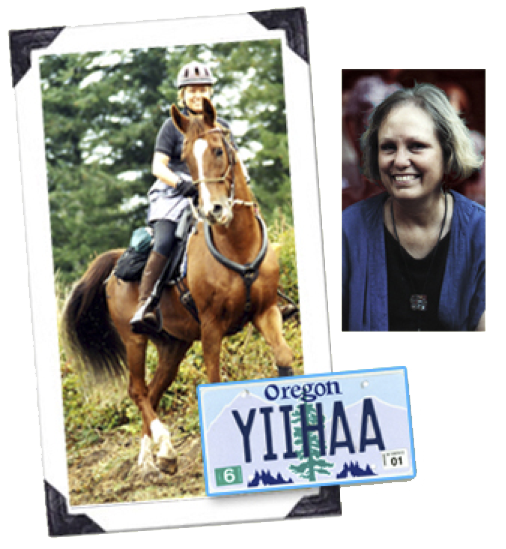 Trish (Patricia) Broersma roams the hills and trails surrounding Ashland in southern Oregon on her horses, Mystic and Journey, and offers experiences for people and horses alike to explore new possibilities for their lives. She also enjoys bringing visual brilliance through web and print media to the deeper vision of those whose work seeks to make a positive difference in our world. Her personal motto is Yii Haa. 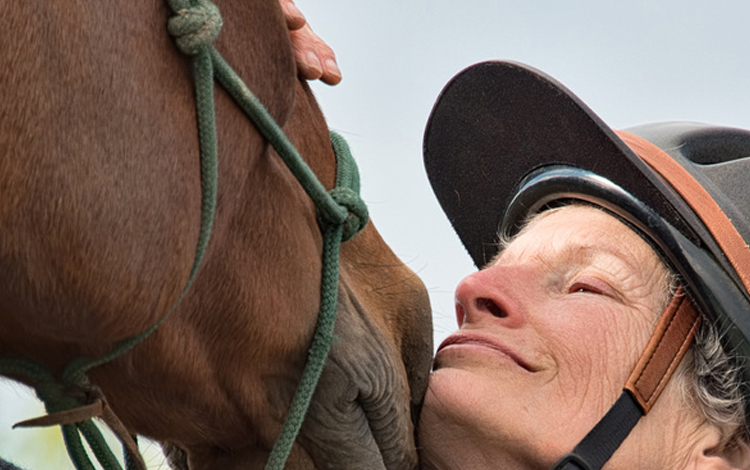 She has been a therapeutic riding professional since 1988. 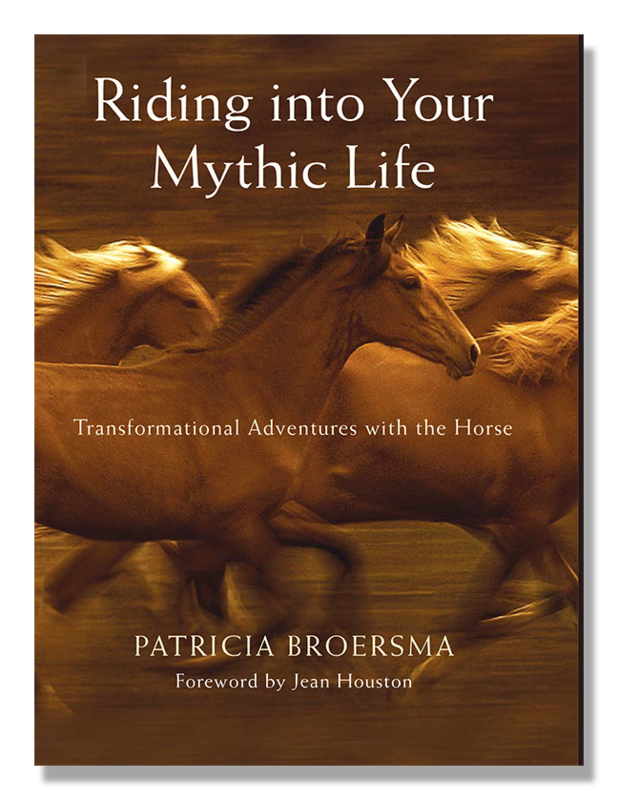 She spent eleven years developing and conducting an innovative equine assisted learning program in human development for at risk teens and adults in transition, published in 2007 by New World Library in Riding into Your Mythic Life: Transformational Adventures with the Horse. 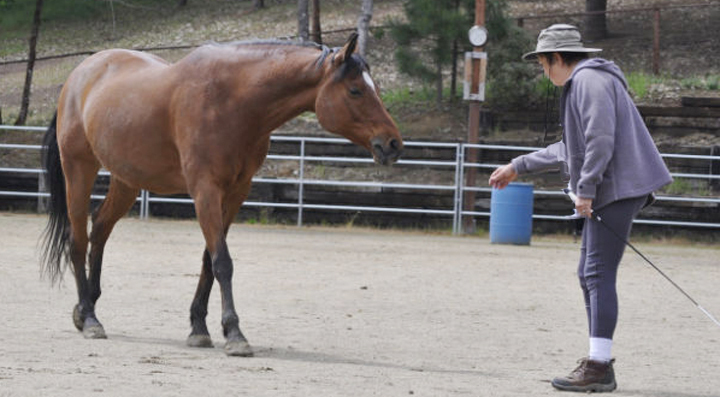 Since then her work has focused on deepening the horse/human relationship for global purposes, with an emphasis on body-based modalities, the power of story, and liberty training with horses for eliciting their willingness, wisdom, and enthusiasm for interactions with people. One summer day in 2006, Trish realized she was ready for a special relationship with a new horse, and within a week, Mystic Moon stepped forward as that horse, with a bold attitude on the trail, an exceptionally big heart, and a striking resemblance to Emerald, the horse featured in Riding Into Your Mythic Life. 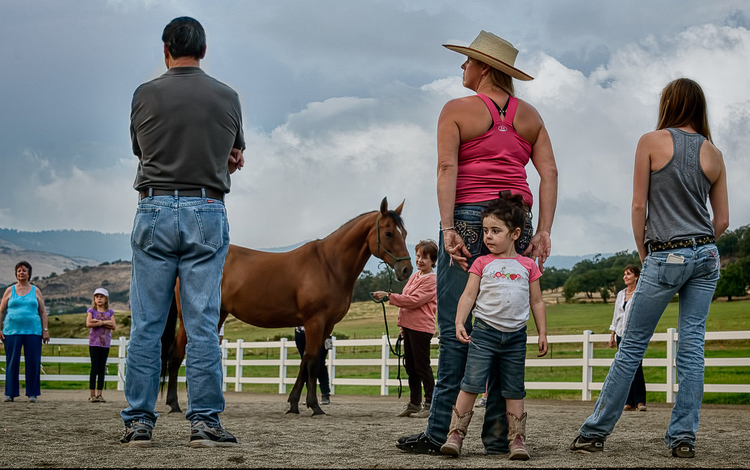 You can catch a glimpse of these qualities in her photo, left, as she interacts with Trish during a liberty clinic. 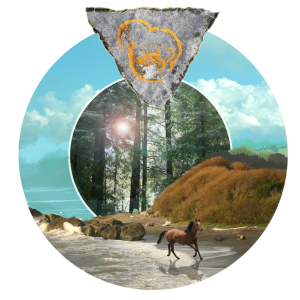 She is also the horse that trots across the coastal beach in the image for this site, an emblem of the mythic life accompanied by the horse. 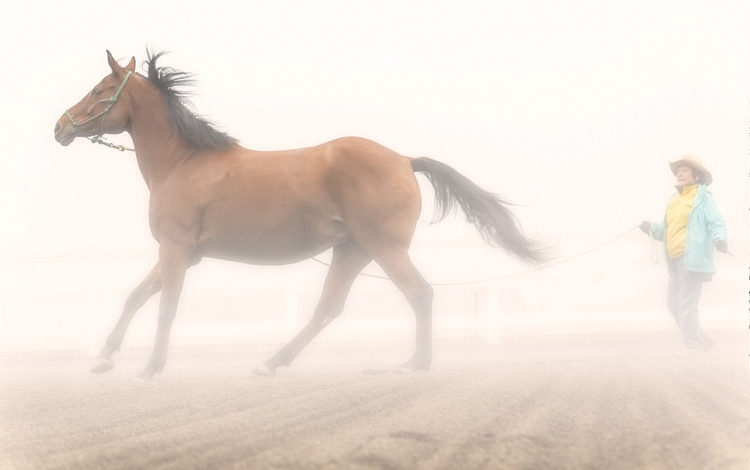 In Fall, 2008, Journey arrived from Denver as a gangly, big 2 year old Rocky Mountain Horse. 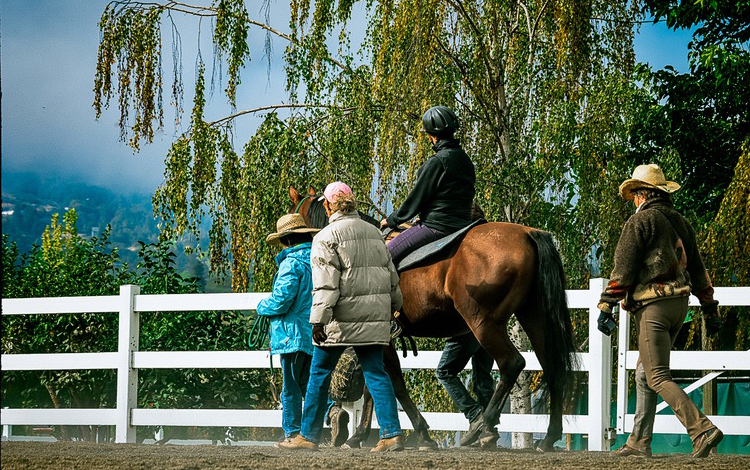 Over the next two years he helped Trish deepen her previous year’s discoveries with liberty training so that at the age of 4, he calmly and eagerly took to saddle and bridle. 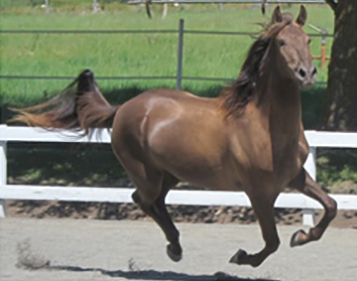 See him romping in the photo left in 2012, enjoying his athletic agility with another two years of development ahead of him. 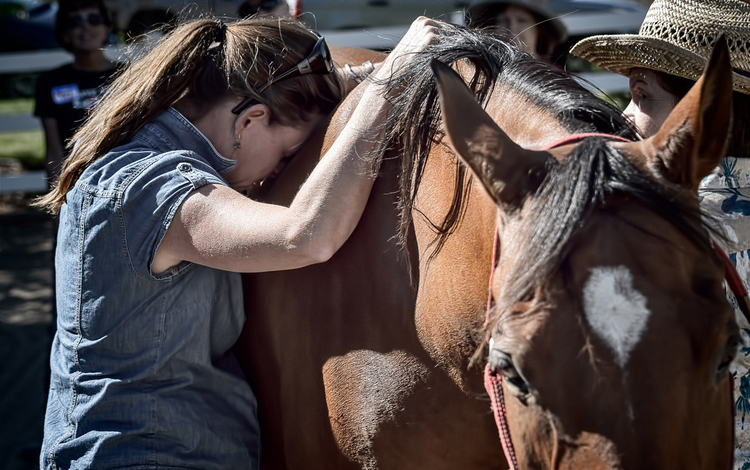 • Having grown up in Oklahoma with two horses that she showed Western in local competition, Trish attended William Woods University where she studied equine management, saddle seat equitation, and liberal arts. • Upon transferring to the University of Michigan, she focused on undergraduate studies in pre-medical science, English literature and graduate studies for a Master of Arts in English Language and Literature, international community development with the Institute of Cultural Affairs, marriage, and the birth and care of three children for the next ten years. 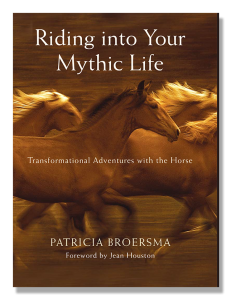 • In 1980, she began training horses and teaching riding in San Antonio, TX, building a large youth riding and showing program called Horsemasters. 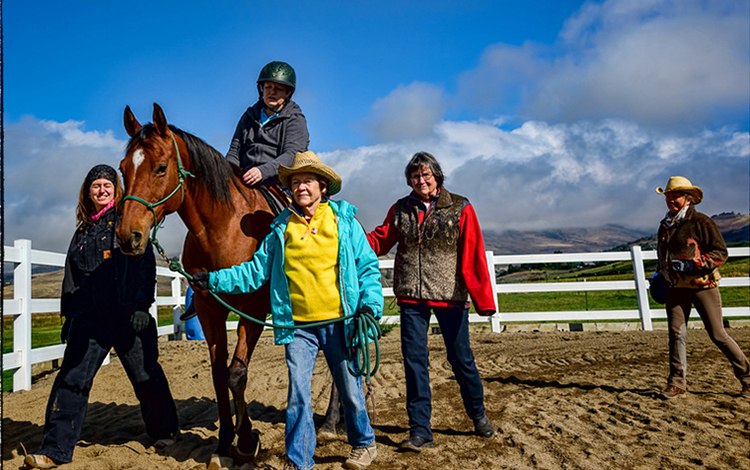 After ten years, she founded the Saddle Light Center for Therapeutic Riding and was director and head instructor, leading it to premier accreditation with PATH International (formerly NARHA). 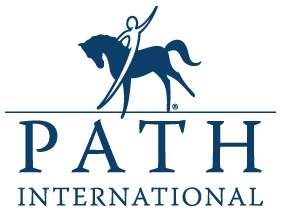 • In 1993, she re-established HOPE Equestrian Center in southern Oregon, leading the program to premier accreditation with PATH Intl. 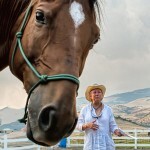 She also developed an innovative program for at-risk teens based on utilizing myth and the horse/human connection for transformational experiences. She was director and head instructor of HOPE for nine years. 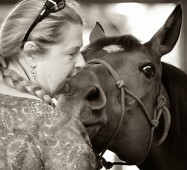 She engages in part-time professional work with Peggy Rubin and her Center for Sacred Theatre and Jean Houston’s Mystery School community, was licensed as a massage therapist for ten years, and maintains certification as a PATH registered therapeutic riding instructor, certified equine specialist, and certified mentor. 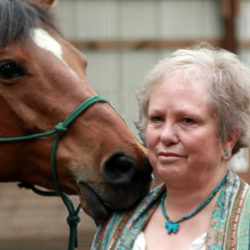 She is faculty for PATH Equine Specialist in Mental Health and Learning Certification seminars. 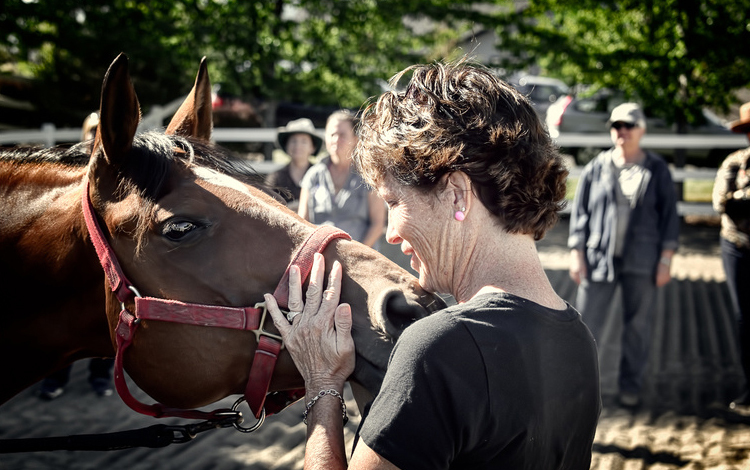 She was 2007-2009 president of the Equine Facilitated Mental Health Association, a section of NARHA, and served on its board for eight years. 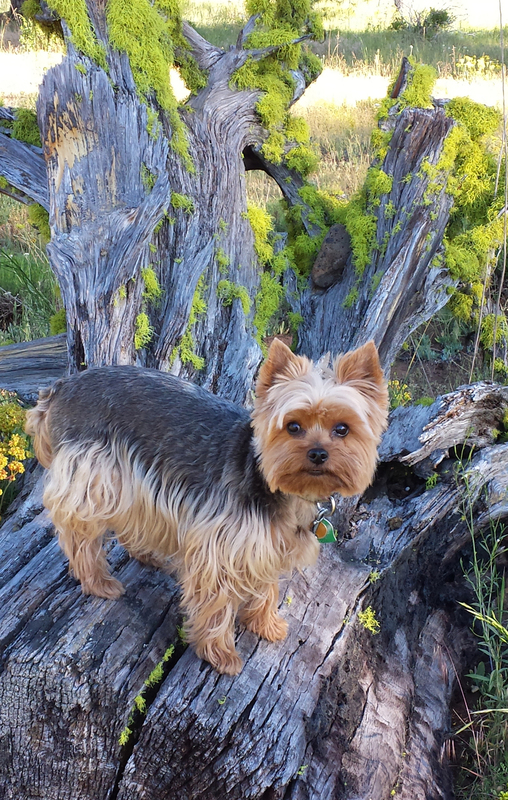 • Since 2003, she has devoted her time to writing, riding, and teaching internationally. 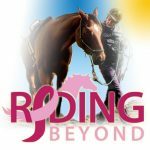 In June, 2013 she founded Riding Beyond in southern Oregon, a free program for women recovering from breast cancer treatment. She offers her skills as a graphic designer through her company Green Horse Graphics, where she specializes in print and web media in support of individuals, businesses and organizations making a positive difference in the well-being of our world. Accompanying Trish from a distance of geographical miles, but close and nearby in all other ways, are her children: Matthew resides in Dawlish, England, and sometimes, Bordeaux and Angouleme, France, Cairo, Egypt, and Delhi, India, as an IT journalist and illustrator of children’s publications; Nathan lives in Vermont, in various small towns surrounding Burlington; the Cutlers, Lauren, Fiona and Gwenivere, are here in Ashland, OR. Little Anna Cybele joined Trish’s household in 2006 with a charming sense of humor, affectionate nature, and feisty opinions about her job. Not shown due to camera shyness and impossibly limited web site space, are the host of friends whom Trish celebrates for their courageous mythic journeys and for their thousand degrees of friendship.